Event Merchandising are proud to be supporting major global initiatives on Climate Change. We have supplied merchandise to the largest events on the planet for both retail and promotional use including Live Earth, Live 8, Chime for Change, London 2012 and Rio 2016 Olympics, to name but a few. As manufacturers and suppliers of a wide range of merchandise for over 35 years we have always managed our resources and purchasing to minimise our affect on the planet. We aim to source ethically and with a strong focus on environmentally sound sourcing, from recycled to reclaimed to organic products. 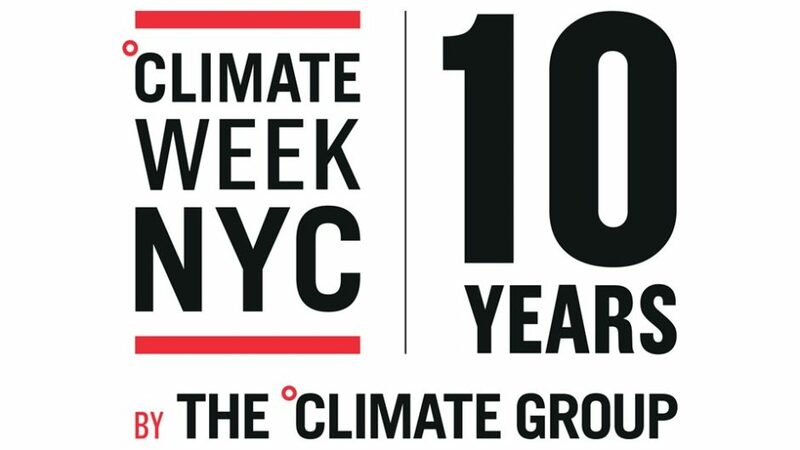 We are proud to be involved in Climate Week NYC and have offices in London, Berlin, Los Angeles and Hong Kong to service your requirements. Let your customers, clients, community and the world know that you support Climate Week NYC and climate action by purchasing a Climate Week NYC ‘Climate Action is our Business’ window sticker.